The 5 most vintage locations in the world! When it comes to traveling i always try to find the most vintage places to go to. It’s something hard since there are some really beautiful locations that people don’t even consider as vintage. That’s why in today’s post i have gathered my 5 most favorite vintage destinations all around the world! It’s not because i am from Greece, but Plaka in Athens is an extremely beautiful and totally vintage place! It is one of the oldest neighborhoods of Athens and it has been inhabited since antiquity. It was developed around the Ancient Market (greek: Αρχαία Αγορά) under the Acropolis and there are so many houses from the 1930s and even earlier! It is also known for its labyrinth kind of streets and neoclassical but Cycladic architecture as well! Apart from the old buildings, the entire place is full of flowers and what’s more retro and old-fashioned than flowers? If you ever visit Greece and you are a vintage lover, you should definitely pay Plaka a visit! 2. Circus Lane, Edinburgh, Scotland. Scotland in general is one of the most beautiful and historic places. Castles, knights, legends… All those things make you want to visit it for sure! 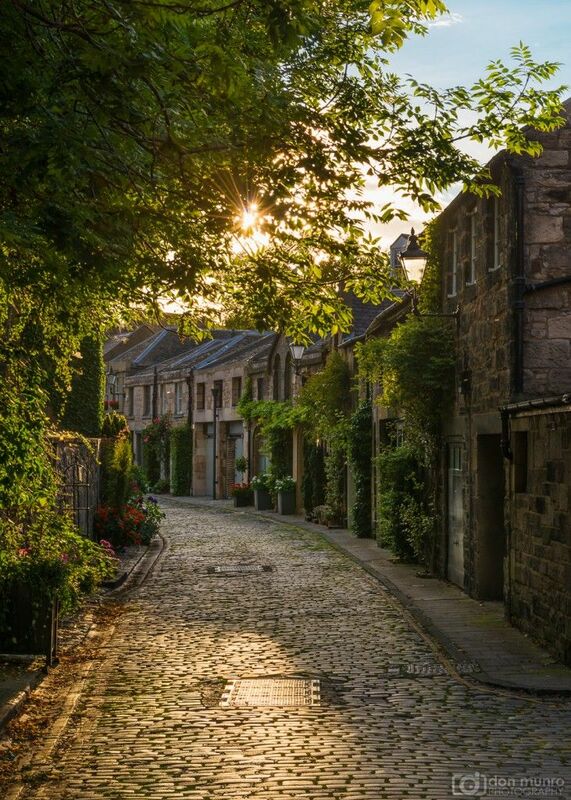 However, one place i just ADORE in Scotland is Circus Lane and it is one of my near future plans to visit it! This beautiful street with those amazing old houses around just made me fall in love with it when i first saw it! 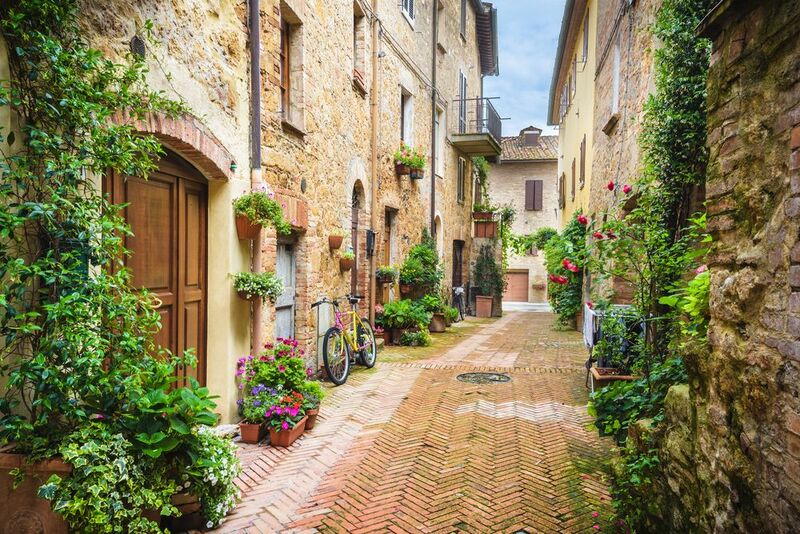 If you love old neighborhoods with flowers and old streets, then this is the right place for you! So if you ever get in Scotland, don’t forget to visit Circus Lane! Furthermore, just a small tip while being in Circus Lane. The beautiful Dean Village is very close to it (around 20 minutes of walking, 10 minutes by bike and 10 minutes by car) so i would totally recommend you pay it a visit! Italy in general is an amazingly beautiful place. 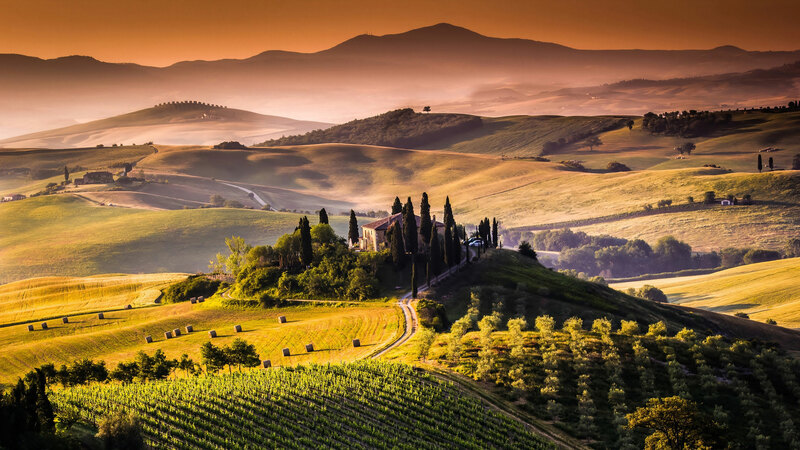 Tuscany is another favorite location of mine which i still have to visit soon. It is a region in central Italy and it is considered to be the birthplace of the Italian Renaissance. It is also known for its incredible landscapes, history, traditions and of course, art! Tuscany has so many things for you to do and it is definitely hard to try everything! But let’s remain at the historic part and its vintage aura. To begin with, its buildings will travel you back in time and its streets will make you feel like you are part of a historic documentary. Also, if you are a wine and food lover Tuscany is the best place for you! 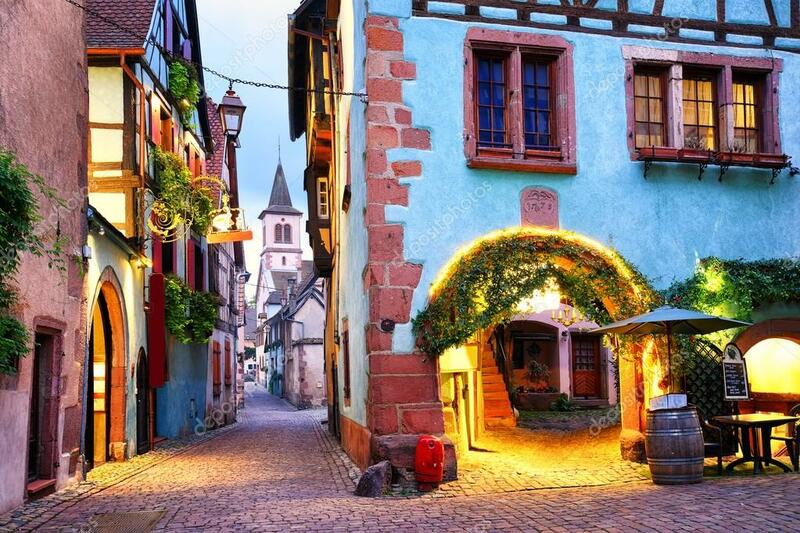 Riquewihr is a village in north-eastern France and it is very popular for its historical architecture. The buildings look the same as they did back in the 16th century and even though it is one of the most beautiful villages in France, it is considered to be a ”secret” destination. The good thing about the village is that it was one of the places less ruined during WWII. There is also a museum about Alsace during World War II and a torture chamber in the area. Furthermore, as it is the same with France in general, Riquewihr is the great place for the wine lovers. I definitely recommend it! 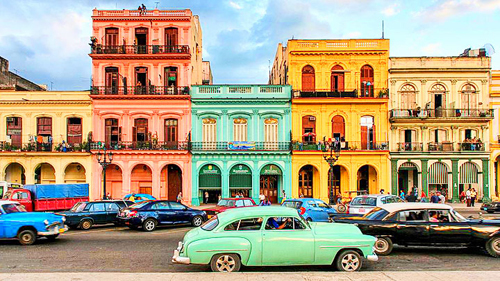 Of course, Cuba couldn’t stay out of the list for the most vintage places in the world! It is located in the Caribbean Sea and Havana is its capital city. We all have in mind pirates and stuff like that when Cuba comes in mind, which is awesome (i personally love pirates), but it’s not just for Assassins Creed or Black Sails fans! The United States imposed embargo against Cuba at the late 1950s which leaded to what you actually see now. The whole place has remained as it was back in the 50s! It might be a distant destination in comparison with the others, but it definitely worths it! Let’s not forget about Cuba’s entertainment too. If you ever visit Havana, you will enjoy it to the fullest! So that was it darlings! I know there are so many more historical places around the world but these were just my personal favorite ones. I would love to know your favorite in the comments! Thank you very much for reading and i hope you enjoyed it!